Birth control pills are oral contraceptives which are taken every day in order to prevent pregnancy. This contraceptive method consists of hormones like those in a woman's body. Taking birth control pills every day maintains a steady level of hormones. This helps to prevent pregnancy in different ways. 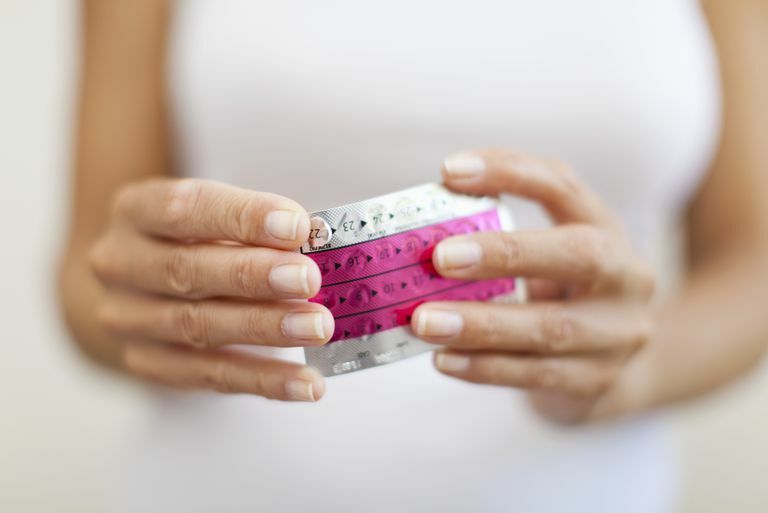 Birth control pills are categorized as being monophasic, biphasic or triphasic — depending on whether or not the hormone levels stay the same during the first three weeks of the pill pack. There are eight types of progestin used in the pill. These progestin types are further categorized based on the effects it could have on your body in terms of progestational, estrogenic, and androgenic activity. Pill brands also differ from one another based on which type of progestin is used as well as the formulation between estrogen and progestin. The specific formulation could impact whether or not certain side effects are present. 21 or 28 Day Packs of Birth Control Pills: Most birth control pills come in 21 or 28 day packs. In both of these, there are 21 days of active hormone pills. The 21-day packs only contain these active hormones (you then go a week without taking any pills, then start up a new pack). The 28-day packs contain the 21 days of active hormones and 7 days of placebo (non-hormone) pills to help keep you on track with taking your pill every day. YAZ and Beyaz: The dosage regimen of YAZ and Beyaz contains 24 days of active hormones, followed by 4 days of placebo. The 4 placebo pills in Beyaz also contain .451 mg of levomefolate calcium (a B vitamin). Lo Loestrin Fe: This pill brand contains 24 days of progestin and estrogen pills. Then, there are 2 days of pills with just estrogen (no progestin) — this is based on a clinical study that revealed that taking estrogen for two extra days may make your period shorter and lighter. Finally, there are 2 days of placebo pills. Loestrin 24 Fe: This was the first 24-day birth control pill approved in the US. It also contains 24 days of active hormones, followed by 4 days of non-hormone (placebo) pills that contain ferrous fumarate (iron). Loestrin 24 Fe is no longer available. Instead, the same manufacturer is now offering Minastrin 24 Fe. This a chewable tablet (like Femcon Fe) but has the same formulation as Loestrin 24 Fe. Continuous Cycle Pills: There is a new pill trend known as extended cycle birth control pills. These pills, like Seasonique, Seasonale and Amethyst allow you to control and decrease how many periods (withdrawal bleeds) you have each year. Combination contraception, like the pill, can provide additional health benefits. The pill can be a safe a contraceptive option for most healthy women. Additionally, some women with certain risk factors could still use birth control pills if they remain under close medical supervision. It is important that you discuss your complete medical history with your doctor before beginning pill use. In order to obtain a prescription for the pill, you will most likely need to have a medical evaluation, blood pressure check, and possibly a pelvic exam by a physician. Your doctor will determine which type of birth control pills are best suited for you; typically, most doctors will prescribe a pill type that has the lowest amount of hormone needed to protect against pregnancy. Oral contraceptives may be purchased at a drugstore or clinic as long as you have a valid prescription. Birth control pills usually come in monthly packs that cost anywhere around $15–$40 a month. Medicaid may cover these costs. You should check with your private health insurance policy as coverage for generic birth control pills or branded pills with no generic equivalent should be covered with no out-of-pocket costs for all non-grandfathered insurance plans. The pill is a highly effective and reversible contraception method. Oral contraceptives are 92-99.7% effective. This means that with typical use, only 8 out of every 100 women will become pregnant during the first year of use. With perfect use, less than 1 will become pregnant. Certain medications may decrease the effectiveness of hormonal contraceptives like the pill. Remember, taking the pill at the same time each day makes it more effective. Being overweight may also lessen the effectiveness of the pill. Birth control pills offer no protection against sexually transmitted infections. Condoms are the only birth control method that can offer you STD protection. Guillebaud, John. "Contraception: Your Questions Answered." (2009).